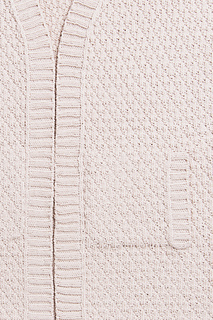 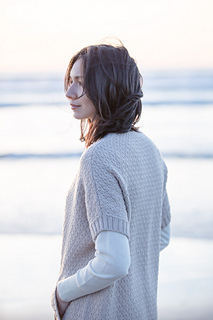 Featuring a knit and purl take on woven seersucker fabric, Dunes is a light cardigan that is both warm and breathable, making it an ideal companion during the changing seasons. 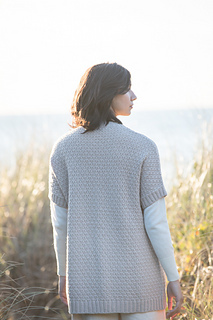 Short dolman sleeves keep the piece simultaneously sleek and comfortably oversized, while the overall textural pattern reads like grains of sand under a magnifying glass. 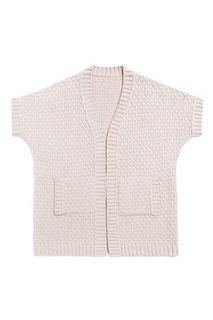 Knit with Arbor in the color Degas, Dunes bears the ephemeral quality of a sunset casting its warm, pink glow, but Arbor’s full color palette provides ample inspiration for taking this piece to a different feel and spirit.